"Michael Gendron stresses the importance of managers developing a good understanding of the organization′s ICT value proposition as well as the tools to create it. 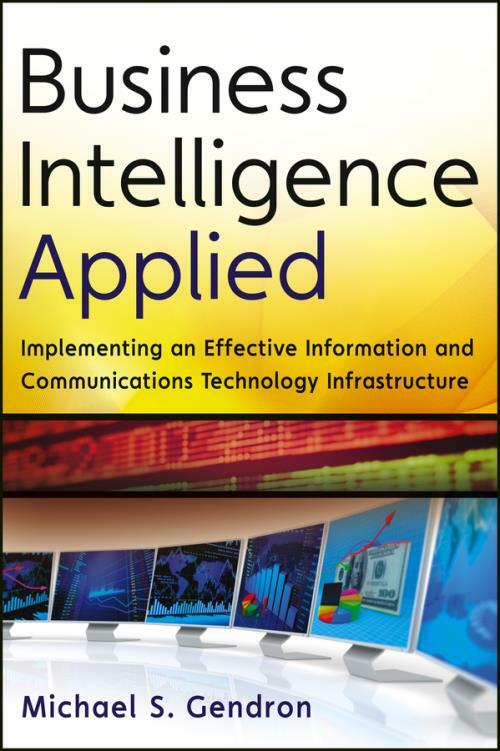 . . .This approach to Business Intelligence value, mediated by ICT infrastructure, is a solid contribution to the management literature that will be of interest to information systems professionals on both the management and technology sides and to general managers as well." We can now envision the day when BI systems will not only pull meaningful interrelationships out of data but also improve decision making with insights that lead to improved business processes. Read Business Intelligence Applied and unleash its power within your organization. MICHAEL S. GENDRON, PhD, is a Professor at Central Connecticut State University and an ICT strategy consultant. He speaks regularly at academic and professional conferences globally, as well as participates in Internet governance activities.